The MIT Knowledge Futures Group (KFG) is a new joint initiative of the MIT Press and the MIT Media Lab and is supported by generous funding from Reid Hoffman, Protocol Labs, and the MacArthur Foundation. The KFG’s mission is to transform research publishing from a closed, sequential process, into an open, community-driven one, by incubating and deploying open source technologies to support both rapid, open dissemination and a shared ecosystem for information review, provenance, and verification. The partnership is the first of its kind between an established publisher and a world-class academic lab devoted to the design of future-facing technologies. In order for mission driven publishers to flourish into the future, it is imperative that we establish our own innovation pathways. At the same time, universities must assert greater ownership and influence over the ecosystems for sharing and verifying knowledge given how critical it is to their core mission. The development of open source alternatives to the stranglehold that a few commercial entities now have on not the markets for information, reputation systems, publishing technologies, and digital innovation will benefit the research community and the reading public alike. The KFG will serve as a test kitchen, incubator, and a staging platform for the development and launch of open source publishing technologies and aligned open access publications, staffed jointly by the Press and the Media Lab. The open source approach not only reduces the precarious dependency that most non-profit academic publishers have on costly outsourced technologies and a limited network of commercial vendors, but also provides a foundation for greater insourced experimentation and innovation. We are seeking funding partners to help us strengthen our capacity over the next two to three years, as we develop models that will make the group's work self-sustaining. 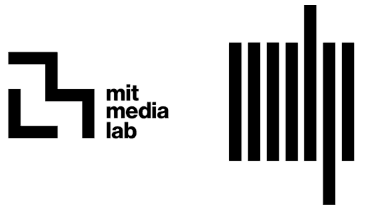 The MIT Press and the Media Lab have a long history of collaboration, beginning with renowned designer Muriel Cooper, who was the Press’ first art director and later a founding faculty member of the Media Lab. Both Press and Lab reflect the values of MIT, an institution that places a premium on experimentation, invention, and open information access. Since its launch in 1962, the MIT Press has been changing the rules of engagement between academic authors and their readers. The Press was one of the first publishers to exploit the potential of the Internet, producing open access interactive books as early as the mid-1990s. From its inception in 1985, the Media Lab was at the vanguard of the technology that enabled the digital revolution and enhanced human expression. Now in its fourth decade, the Lab continues to check traditional disciplines at the door as designers, nanotechnologists, data visualization experts, biologists, and computer interface pioneers work side by side to reinvent the human-technology relationship.